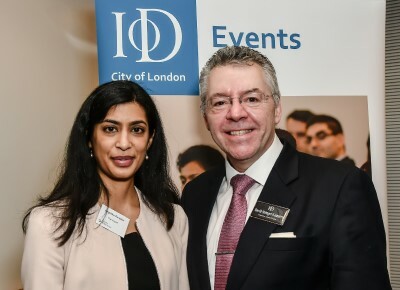 David Stringer-Lamarre, MD of FortisCL, within his role as Chairman of the Institute of Directors (IoD), London Region, was pleased to attend this highly informative annual IoD City of London event. It was held at Smith & Williamson in Moorgate. A welcome address was delivered by IoD City of London Chairman, Alderman Alastair King.